Who says cold snacks can only be enjoyed in the summer? Not us! Frozen treats should never be tied to the seasons! 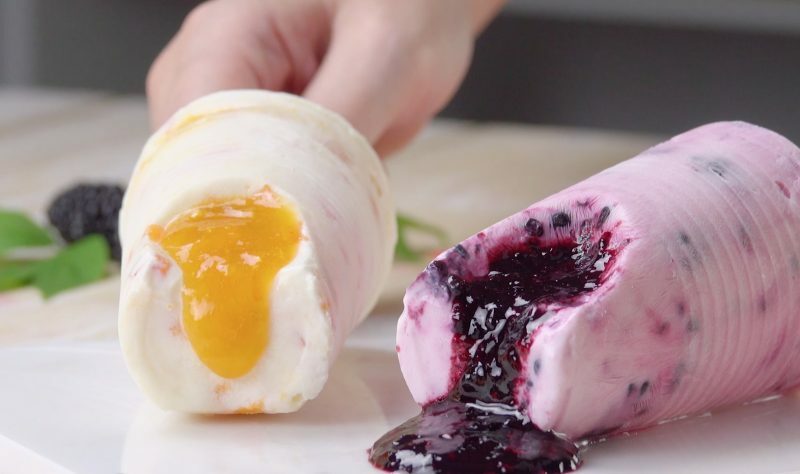 In fact, we believe they should be enjoyed all year round, and if you want to try something other than boring old strawberry, chocolate, or vanilla ice cream and even make it yourself, be sure to try these delicious chocolate fruit bombs. 1. First heat the cream in a pot, and right after it comes to a boil, add the white chocolate and let it melt while stirring constantly. Remove the pan from the stove and let the mixture cool. Pour the chocolate cream into a bowl and mix it again with a hand mixer. 2. 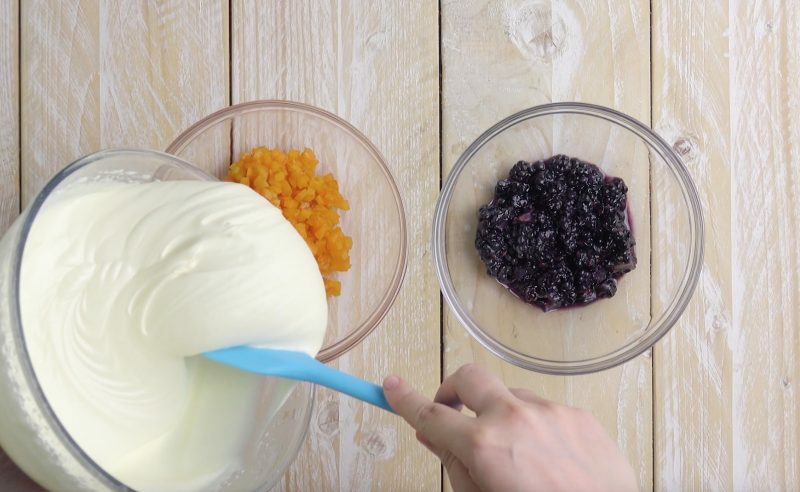 Pour the chopped apricot and blackberry pieces into separate bowls, evenly distribute the cream between the two bowls, and carefully stir each bowl. 3. Now fill three of the plastic cups with the apricot cream, filling each cup about ⅔ full. Do the same with the blackberry cream and the other three cups. Now put a shot glass in the middle of each cup and press it down until it is completely surrounded by cream. 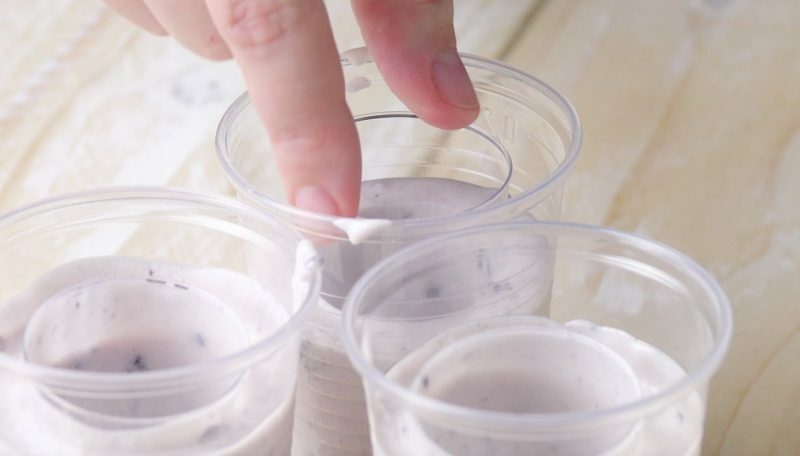 Place the cups in the freezer for 2 hours. 4. Now put the halved apricots and blackberries in two separate bowls. Add a dash of rum to each bowl and then puree the contents. 5. Take the plastic cups out of the freezer and remove the inner shot glasses. 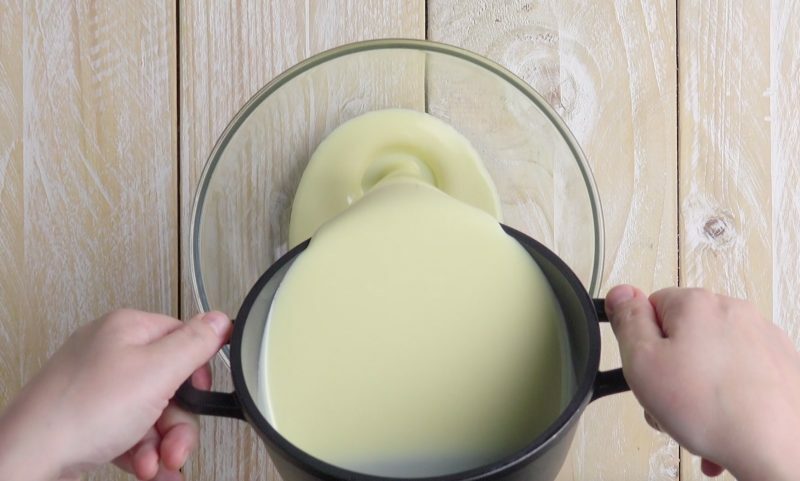 Pour the corresponding fruit puree into the well and pour the remaining corresponding cream over the top (e.g. 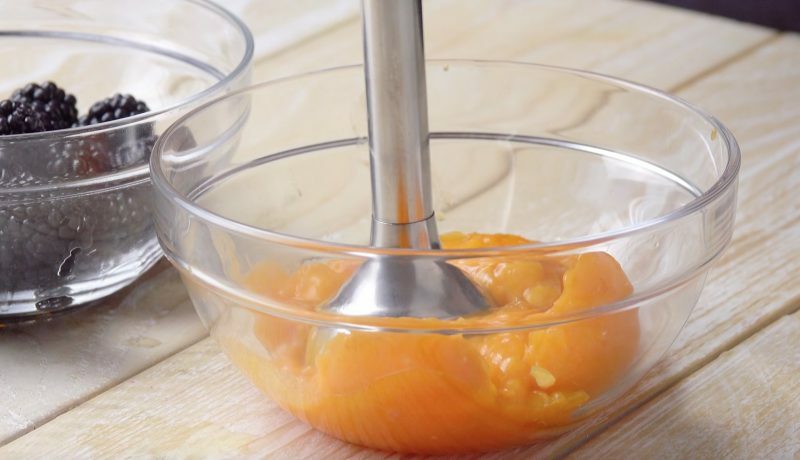 pour the apricot puree in the well of the apricot paleta and pour the apricot cream over the top). Place a wooden spoon about halfway down in the middle of each cup and then freeze the ice pops for another 2 hours. Serve these tropical treats to your guests as a casual dessert or enjoy as a snack between meals. Be sure to experiment with other flavors for a truly wild experience!